Suffering From Back-to-Work-Blues? Don’t Worry, You’re Not Alone! Although it’s called a holiday “vacation” it’s doubtful that many of you actually had time to relax this holiday season. With all the parties and celebrations you have likely put in many late nights, spent time traveling and indulging in holiday treats and cocktails. Well the party is over! The beginning of January marks that time when the late nights and lazy mornings end. 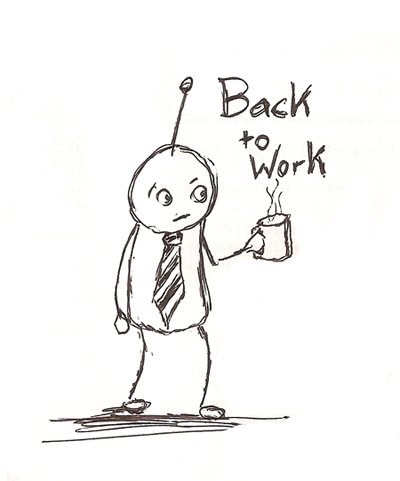 That’s right, it’s time to head back to work! And those who are heading back to work this week might be feeling the winter season post-holiday blues. 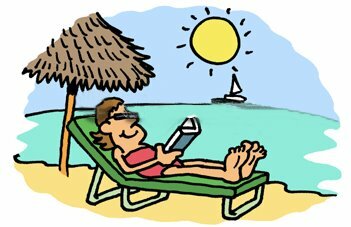 Relax – This may sound outrageous to some of you, but think back to your holiday vacation; chances are you were kept occupied the entire time. Between the parties and celebrations, shopping and entertaining, did you really get a moment to relax? That’s why this is number one on the list. Take some time over the next week or so to put your feet up after work, order in and get to bed early. Plan something in January – It’s hard coming off of a week or two of non-stop dinners and parties. Once January comes around you might feel as though there is nothing exciting coming up in the future. Try planning an event in January with your colleagues in the office so that everyone has something to look forward to! Ideas: potluck lunch, staff appreciation, team building session. Stay positive – This can be difficult when you transition from sleeping in and attending holiday events, to waking up early and working a full day. However one of our recommendations is to stay positive by making some New Year’s resolutions in your office. Small changes can make a big difference in your day-to-day work life. Get your internal clock back on track – Chances are you haven’t been up at your regular working hours over the holidays. The first day back to work can be extra difficult when your alarm goes off at 6:30 a.m. for the first time in over a week. Try setting your alarm to “work” the day before your scheduled shift. Even one extra day can help get your internal clock back on track. Another great way to get back into the swing of things at work is by learning something new. Clear Path offers learning sessions on a variety of topics including: AODA Legislation, Managing Employee Absence and Employee Policy Manuals. Visit our training page and challenge yourself to learning something new in 2013 by attending one of our learning sessions!